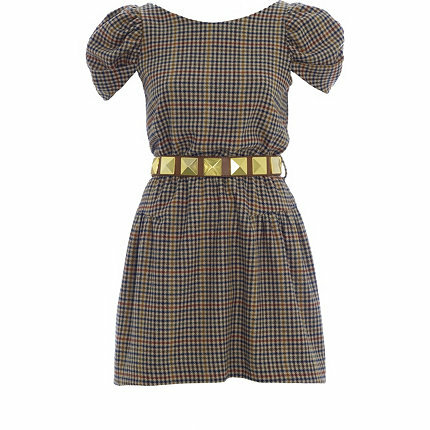 Yes yes, I’m obviously trying to channel my inner Blair Waldorf with this little cap-sleeved, checked mini dress. Worn with yellow tights, a string of pearls and two-tone heeled brogues, all I’d need is a Serena. Or a Chuck. Gorgeous dress! The classic print becomes ultra-cool by pairing it with the modern belt. I`d love to have it too!